More than 11,000 objects of varied materials and types from sub-Saharan Africa, the Pacific Islands, and North, Central, and South America are overseen by a single curatorial department at the Metropolitan. Representing four millennia of greatly diverse cultural traditions, the department's holdings range from ritual sculpture and monuments of wood and stone to gold and silver ornaments, masks, costumes, and other textiles. At one end of the department's vast chronological range are archaeological American objects from 2000 B.C.E. 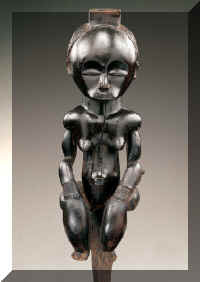 ; at the other are African and Pacific works from our own time. 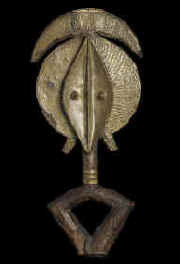 Strengths of the collection include decorative and ceremonial objects from the Court of Benin in Nigeria; sculpture from West and Central Africa; sculpture in wood from New Guinea and the island groups of Melanesia and Polynesia; and objects of gold, ceramic, and stone from the Precolumbian cultures of Mexico and Central and South America. The Metropolitan Museum of Art will present a special exhibition of acclaimed sculptural masterpieces from the heart of Africa’s equatorial rainforest, beginning October 2, 2007. For the last news about Metropolitan you should join our African Art Club and become an insider of the African art market.